Trying to figure out how to make money with a blog? I mean, as fun as starting a blog is, I don’t think there are very many people who would mind earning at least a little side income from their blog! But how do you actually go about monetizing your blog? Do you just throw up a bunch of popup ads and call it a day? Well…you can. But if you go with that approach – you’re leaving a ton of less intrusive monetization options on the table. In this post, I’m going to go over a whole heap of ideas for how to make money with a blog. I’ll cover everything from the most popular methods (that you might already be familiar with) down to some niche methods that might not have considered already. The best part is you can use multiple monetization ideas at the same time to create a truly diversified income stream from your blog. Enough chatting – let’s get to the money-making ideas. Before I jump into the ideas, let me just give you a quick rundown of how I’m going to be ordering them. I’ll start with the most popular monetization methods and slowly get more narrow as the list goes on. 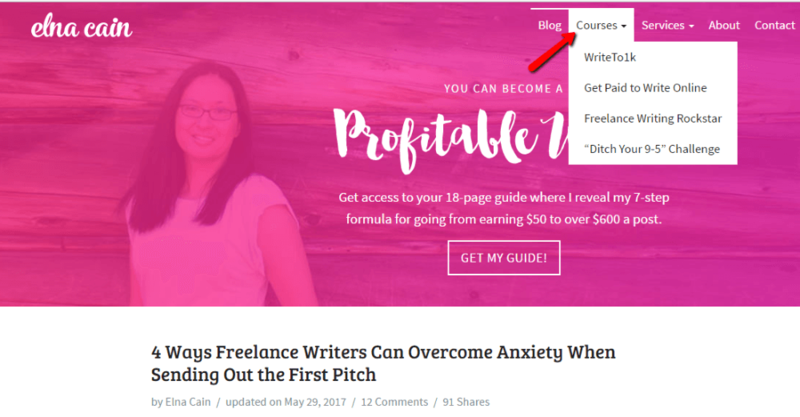 So if you’re already familiar with the basics of how to make money with a blog, you might be able to skip the first few suggestions. Otherwise, start at the beginning! With affiliate marketing, you get paid for linking or otherwise recommending products or services if someone purchases a product as a result of clicking from your site. When someone buys after visiting from your site, you’ll get either a percentage or flat-rate commission. For example, you could write a product review blog post and get paid if someone buys as a result of your review. An example of this in action is our SiteGround review. If someone signs up to SiteGround from our review, we earn a small commission. Or, you can always curate or mention multiple products at a time. The important thing here is that the customer still gets the same price, no matter if they buy something based on an affiliate’s recommendation or directly from the vendor. So how can you find these affiliate opportunities? 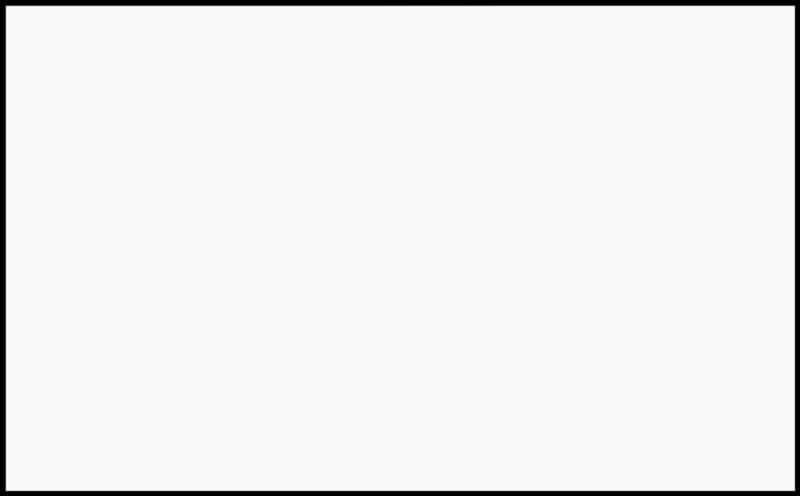 One way is to look in companies’ website footers for an Affiliates link. A good percentage of businesses have such links and you can find out about their affiliate program. Our own affiliate program here at ThemeIsle. Check the details here. 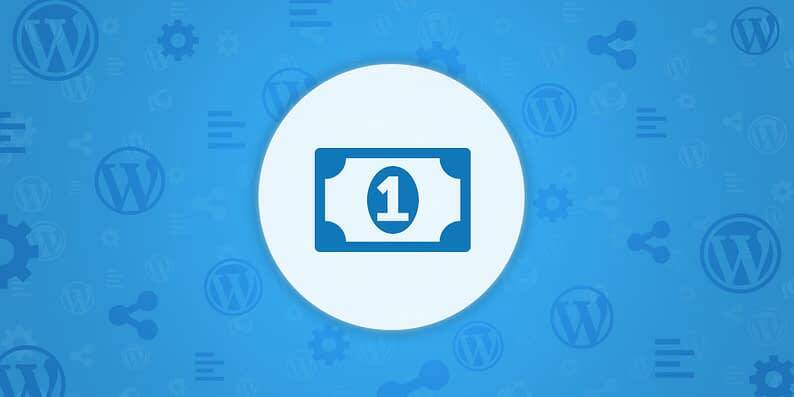 A list of the top WordPress-related affiliate programs in the market. To get such ads on your site, all you need to do is sign up for AdSense and add the ad code to your site. Then, Google will serve up ads that are relevant to your content and your visitors. And you’ll get paid if someone clicks on your ad (known as cost per click) or even if someone just views your ad (known as cost per impression). Did you know that there are tons of companies who will pay you money just for writing a post about them? Such posts are called sponsored posts. And if your blog gets decent traffic, plenty of companies will pay for the privilege of sponsoring a post. This might be one of your main strategies on your way to learning how to make money with a blog. One way to find sponsors for your posts is to use a network like Tapinfluence. But honestly, the best way to attract such opportunities is to create a page on your own site advertising your traffic and rates for sponsored posts. That way, advertisers can find you. And trust me, sponsors are always looking for opportunities! Just be aware – it’s a good practice (and sometimes required by law) to clearly disclose when a post is sponsored. AdSense is technically a display network. But because it’s so popular, I gave it its own category. AdSense is not your only option here, though. There are tons of other networks where all you need to do is add a code to your site and start displaying ads. AdSense and other display ad networks find ads for you so that you can find out how to make money with a blog without needing to lift a finger. But in return…they do take a cut of what advertisers pay you. So one way to potentially make more money and have more control over the ads on your site is to cut out the middleman. That is, directly sell ads to advertisers. Like sponsored posts, the best way to attract these opportunities is to create an Advertise page on your site that lists details about your traffic (including Google Analytics screenshots). But you can also try proactively reaching out to companies in your niche. 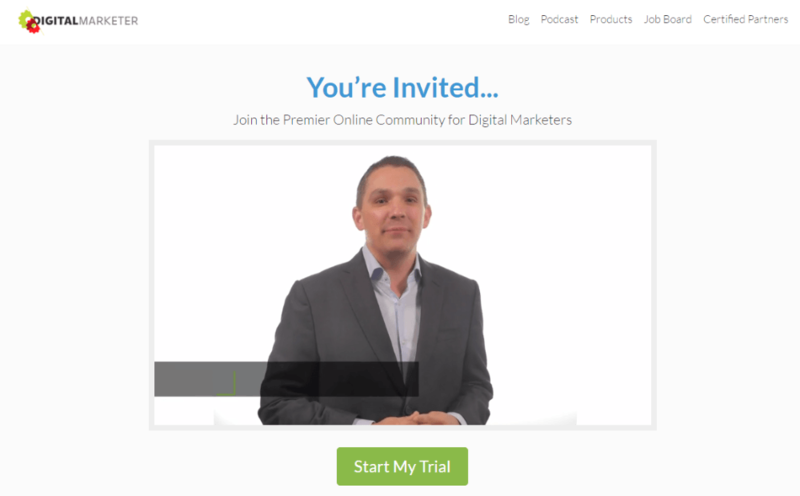 Speaking of cutting out the middleman…instead of relying solely on affiliate marketing to sell other people’s products, you can create your own digital product that you sell to your audience. While it does take some upfront work, this is actually a fairly popular way to make money from your blog. 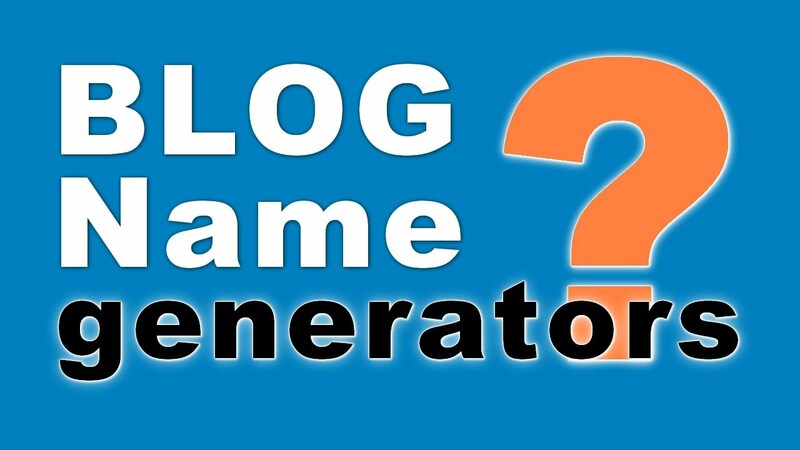 Try to think of a product you could create based on the topic of your blog. Then, market that product to your readers! If you already enjoy blogging, you can actually use your own blog as one big advertisement to attract clients willing to pay you to blog. This is actually a pretty solid way to make a living (it’s what I do!). And it’s pretty popular in some blogging niches. The best way to do this? 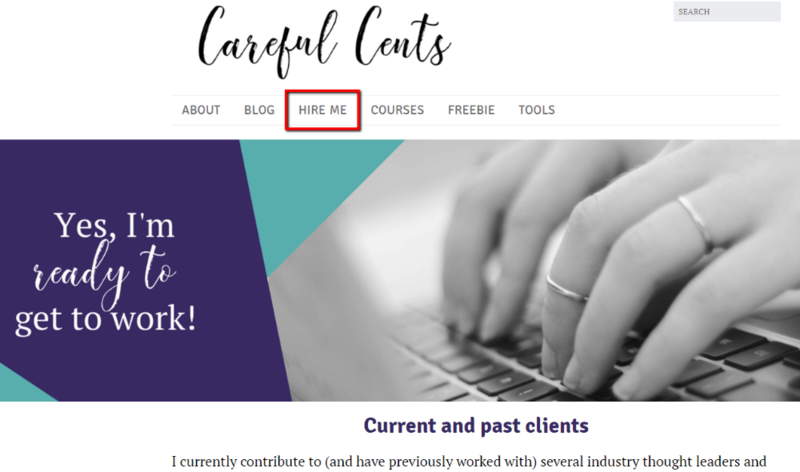 Create a Hire Me page like Carrie did. Then, if someone likes your writing, they know exactly how to get in contact with you. But what do you need in order to start this blogging business? 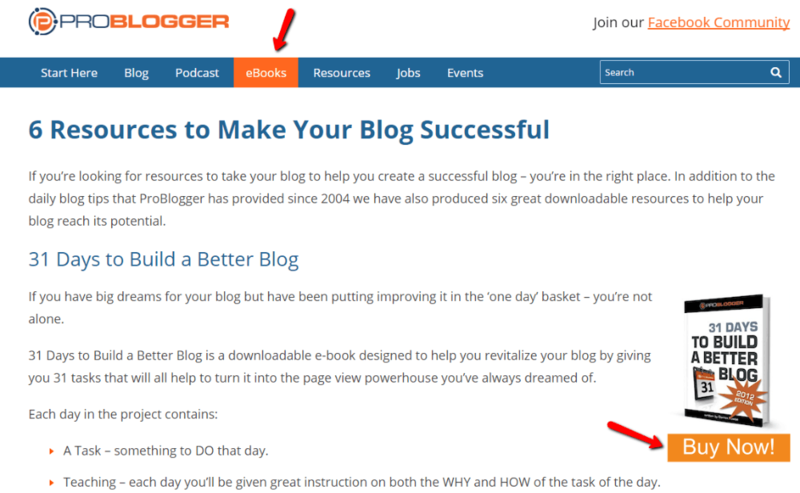 We recommend you this comprehensive step-by-step guide by FirstSiteGuide on how to create a blog by yourself. Similar to creating a digital product like an eBook, launching your own eCourse is another popular method of monetizing a blog. Again, think of what you’re an expert at…and offer up a course to your readers. Or, you can always create Udemy course based on your blog content and earn money that way. The final form of eBooks and online courses is to launch a full membership site. With a membership site, your readers pay every month for access to a full community of information. I know…this seems like a pretty far-fetched method for how to make money with a blog. Charging people just to read all of your posts?! No one would ever pay…right? Readers can read a limited number of posts for free. But after that, they have to pay to continue reading. Again, not for everyone. But if you have longform content that people love reading (like Mark), it might be a viable approach. As much as people love reading your blog posts, they don’t always have time to stare at words on a screen. So why not reach them in another medium with an audio podcast? Podcasting is exploding nowadays and plenty of bloggers are jumping into the mix. Once you turn your blog readers into podcast subscribers as well, you can start monetizing your podcast with ads. Not a fan of selling products or ads? You can always simply ask for donations! That’s what plenty of bloggers do in important, but hard-to-monetize, niches. 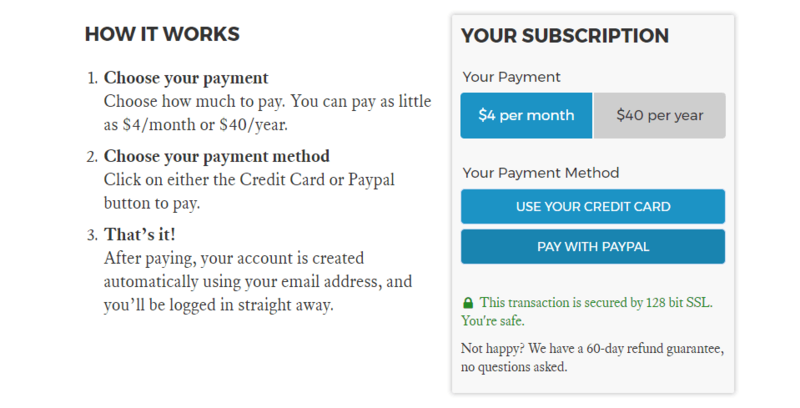 One method is to use a service like Patreon to collect money from your supporters. Or, you can always use a plugin like PayPal Donations to collect donations directly. If you aren’t looking to become a freelance blogger, another way you can use your blog to sell services is to offer consulting or coaching services. The principle is the same, but you’re selling your time instead of your writing. For example, Chris Lema runs a popular WordPress blog that he uses to sell his consulting services. Basically – you use your blog content to establish your expertise – then monetize with consulting. If you have a niche blog, your visitors’ information is valuable to other companies. For example, if you ran a blog on insurance…insurance companies would love to pay for access to your readers’ information. 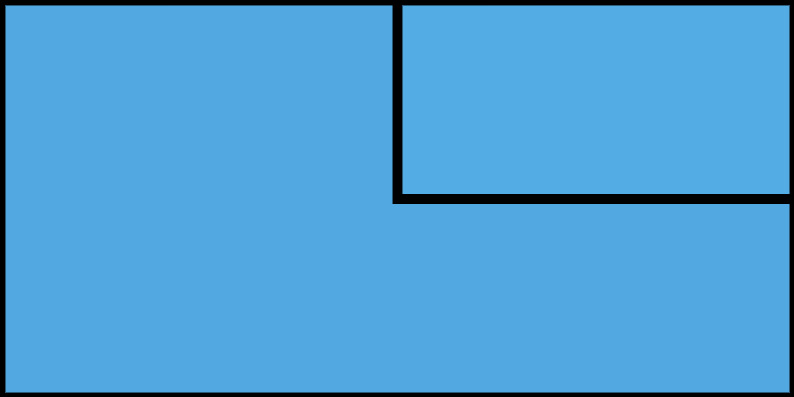 The information for each reader is called a “lead”. And as long as you’re transparent about it, you can collect this information and sell it to other companies. You’re basically connecting an interested person (the lead) with a company that fits their need…for a fee. If you have a large audience of people interested in a specific topic, you can use that audience to create a job board in your niche. Then, you can charge companies to post a job ad to your targeted audience. If your blog’s audience is more casual than business-oriented, you can make good money selling physical merchandise via an eCommerce store. For example, apparel is a huge seller for blogs that skew more towards humor and entertainment. One of the most successful examples of this is The Chive’s The Chivery store. It sells a huge array of apparel, all powered by the success of The Chive’s blog. If you’re at the point where you just want to cash out (or if you think you’ll reach this point in the future), selling your blog lets you get one big lump sum for all the hard work you put into it. How much can you expect for your blog? That depends entirely on your traffic, age, revenue, and consistency. But generally…you can get anywhere from 12-30x what your site makes each month. For example, WPLift, a popular WordPress blog, sold for a massive $205,200 in 2016. And there you go! 17 viable ways for how to make money with a blog. Not all of them will apply to your specific situation, but you should feel free to mix and match to create a diversified monetization stream. If you rely on a single method for earning money, you put yourself at risk if that income stream ever stops working. But if you, say: promote affiliate products, have some AdSense ads, run an eCourse, have a podcast all at the same time, then it will be difficult for you to ever lose all your revenue overnight! Now over to you – have you figured out any novel ways for how to make money with a blog? Leave us a comment and we’ll add them to the list!